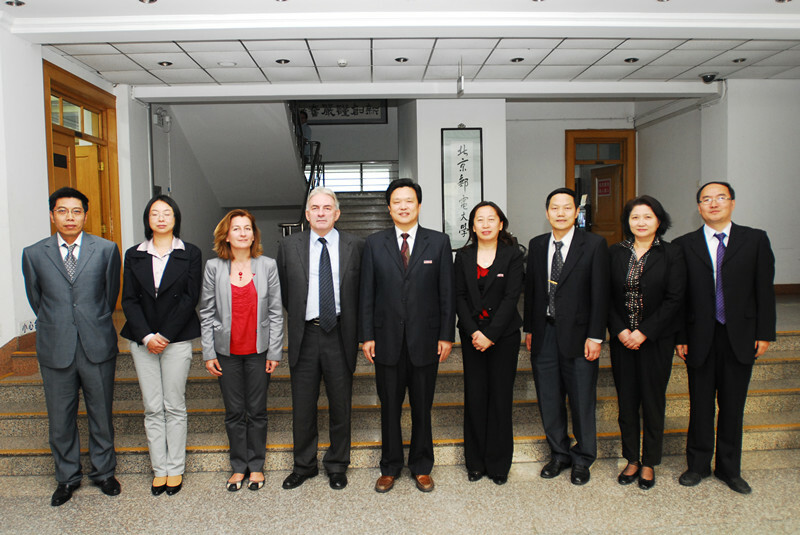 On October11, 2013, our President Qiao Jianyong met with Roger Ceschi, the President of Ecole Speciale de Mecanique et D’Electricite(ESME) in France. President Qiao firstly extended his warm welcome to president Ceschi. 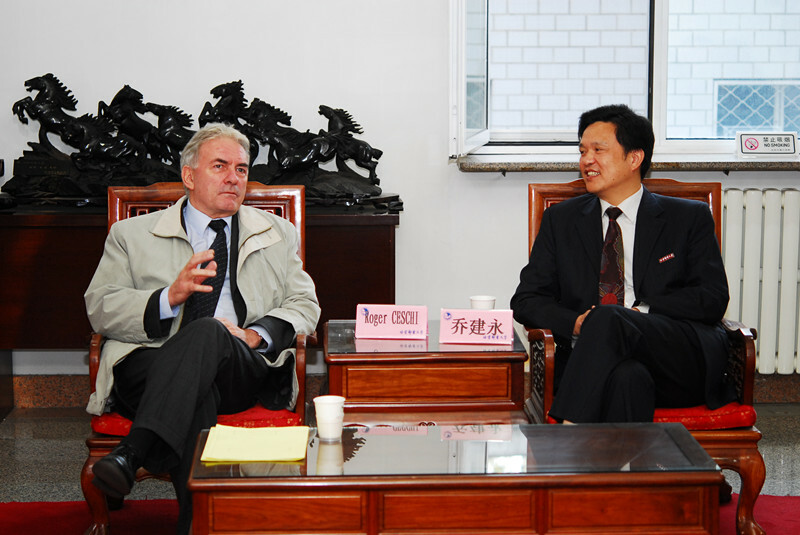 Then, President Qiao briefly introduced him our university’s professional features and academic structures. Afterward, President Ceschi expressed his willingness to establish a joint program for graduate students between the Automation School of BUPT and ESME. President Qiao agreed with President Ceschi and also looked forward to increasing cooperation between BUPT and ESME in the future in all aspects, such as teaching, research, student exchange and faculty exchange. President Ceschi was accompanied by Catherine Coqua, director of international office of ESME, and Cecile Wu, liaison person in Greater China. Also participated in the meeting were Xin Lingling, assistant to the President and director of General Office , Ren Chunxia, director of International Office, Chen Yan, assistant dean of Graduate School, Sun Hanxu, executive dean of Automation School and assistant dean of Automation School. Ecole Speciale de Mecanique et D’Electricite (ESME) was built in 1905 and has 1300 students now. As one of the most famous engineering institute in France, ESME has trained a total of 12,000 engineers.